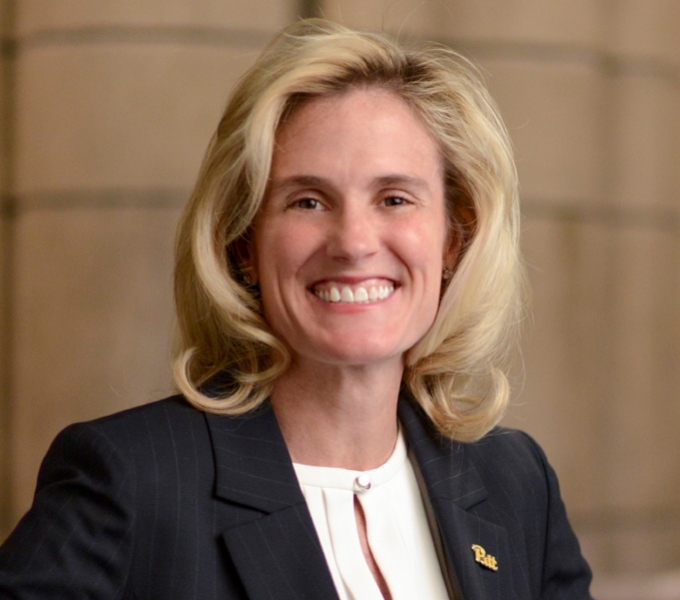 As athletic director, Heather Lyke leads a Pitt Athletic Department that encompasses 19 intercollegiate sports programs with more than 475 student-athletes who compete in the prestigious Atlantic Coast Conference. Prior to coming to the University of Pittsburgh in March 2017, Lyke served as vice president and director of athletics at Eastern Michigan University, where she led a department that sponsors 21 varsity sports. From 1998 to 2013, Lyke worked at Ohio State University, where she oversaw 10 of the school’s 36 athletic programs and supervised the Buckeyes’ sport performance division, which included the strength and conditioning coaches, athletic training staff, and sports medicine staff. During Lyke’s Ohio State tenure, the Big Ten Network tapped her expertise as a color analyst for softball telecasts from 2009 to 2013. Prior to Ohio State, Lyke served at Cincinnati as the assistant athletic director for compliance as well as the senior woman administrator from 1996 to 1998. She began her career at the NCAA as an intern in the enforcement and student-athlete reinstatement department from 1995 to 1996. A native of Canton, Ohio, Lyke was a scholarship student-athlete at the University of Michigan, where she captained the Wolverines’ Big Ten champion softball team, lettered four years, and became an All-Academic Big Ten honoree. Lyke holds a bachelor’s degree in education from Michigan and a Juris Doctorate from the University of Akron School of Law. She is a frequent speaker and presenter at national conferences and serves on the Board of Directors of Women Leaders in College Athletics. She has chaired both the NCAA Men’s Lacrosse Committee and the Mid-American Conference’s Cost of Attendance Task Force. She and her husband, David Catalano, have three children: Elle, Sophie and Eli.